MAGDALA, Israel – Archaeologists in Israel believe they have discovered the remains of an ancient synagogue where Jesus may have taught. 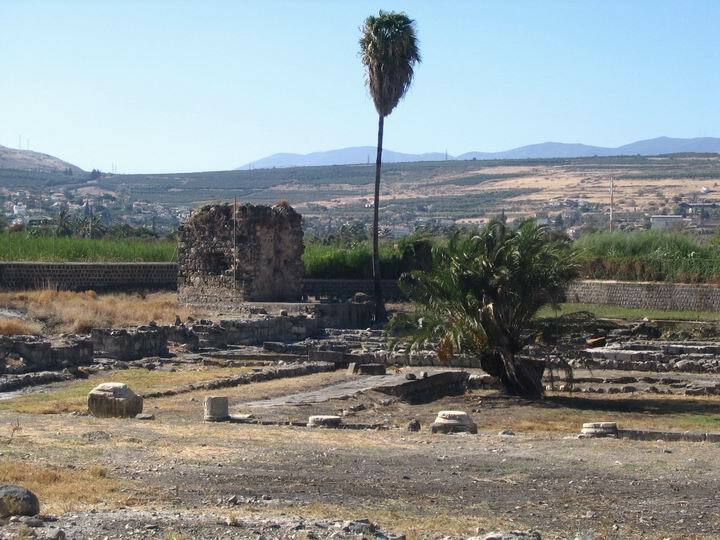 Magdala is an ancient village in Israel located on the western shore of the Sea of Galilee, just five miles from the biblical city of Capernaum. The village has yielded numerous archaeological findings through the years, including a first century A.D. boat, the remains of an ancient harbor, several ritual bathing areas, and a fishermen’s neighborhood. In recent months, archeologists digging at the Magdala site uncovered evidence of a first century Jewish synagogue, including an ornately-decorated stone block that was most likely used as a platform for reading the Torah. Dina Gorni, an archaeologist with the Israeli Antiquities Authority, told reporters that the stone is one of a kind. Experts believe Magdala was the home of Mary Magdalene, who is described in the New Testament as a follower of Jesus “from whom He had cast out seven demons.” Due to the site’s proximity to Capernaum, where Jesus lived for a time, archaeologists say Jesus likely taught at the Magdala synagogue. Gorni says Jesus and his followers, including Mary Magdalene, could have visited the synagogue at Magdala. Juan Solana, director of the Notre Dame of Jerusalem Center, originally planned to develop a resort at the Magdala site. He agrees that the archaeological findings have been extraordinary. Numerous Bible verses, including Matthew 12:9 and 13:54, state that Jesus regularly taught at synagogues throughout Israel. Solana is convinced that Jesus taught at the same synagogue archaeologists are now uncovering. Gorni says the discovery of the synagogue at Magdala is important—not just for Christians and Jews, but for the entire world.